I wasn’t entirely sure what I was seeing through the windshield wipers and the steady rain they struggled to clear. I had come to a full stop behind a parked Wrangler and noticed a dark figure started walking towards us. As I lowered the window he shouted, “You’re on Cinnamon Pass. You can’t go up this road in that thing––you’ll never make it!” This was not the first time this had happened to us. It’s hard to fault anyone for stepping in to save us from ourselves. 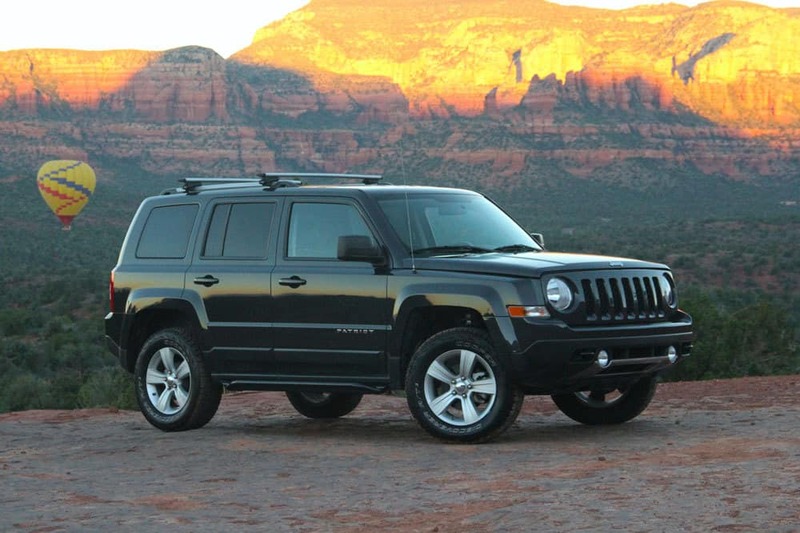 A Jeep Patriot is a diffident little thing that looks downright out of place on a rugged road. Like a Jeep Cherokee chopped off at the knees, it has minimal clearance, cookie-sized tires, and couldn’t possibly be worth a darn off pavement, right? As is the case for so many things, it’s all about perspective. Two years ago I began to closely evaluate my vehicle needs in response to the Land Rover Discovery parked in my driveway and its constant drain on my finances and nerves. I took a mental inventory of the roads, distances, and style in which we traveled and deduced we needed something smaller. We needed something simple and efficient, capable of comfortably knocking down long stretches of tarmac punctuated by mild sections of rough road. Something that could haul bikes, skis, camping gear, and a tail wagging 90-pound Labrador. In short order, I was standing in front of a new Subaru Forester, shoulders slumped, resigned to the fact that a Suby was probably the solution I was after. It just didn’t feel right, though. For no justifiable reason, I just felt compelled to pass on the Suby. It was Scott Brady who introduced me to the Patriot as a viable option. 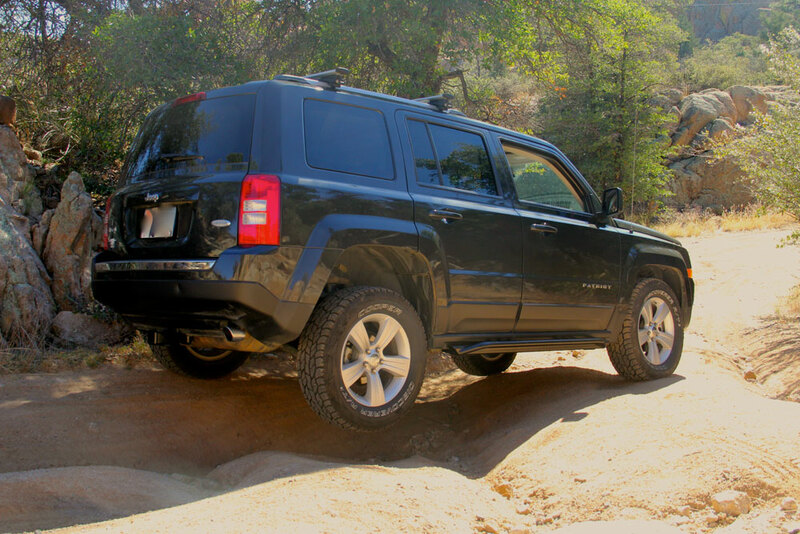 He had collaborated with Jeep in the early testing of the platform, and to my surprise, espoused its off-road virtues with convincing assurance. He suggested we further explore the Patriot within the context of a long-term ExPo project. After many repeated questions to Scott like, “Are you sure this is a good idea,” I had made the leap. Before I knew it, I had signed the papers and parked a brand new 2011 Patriot Latitude X in the oil-stained spot my Rover had once occupied. I won’t lie, it was not a transaction brimming with confidence. I worried I had just made a terrible mistake. You can read about Scott’s testing impressions HERE. Pictured above without the RRO lift. It really did greatly benefit from the modest 2.125″ lift. There’s not a great deal you can do to modify a Patriot, and that held some appeal for me. The first order of business was adding as much lift as possible and giving it proper tires. There are literally just two options for lifting the Patriot, and the Rocky Road Outfitters lift was clearly the better option. 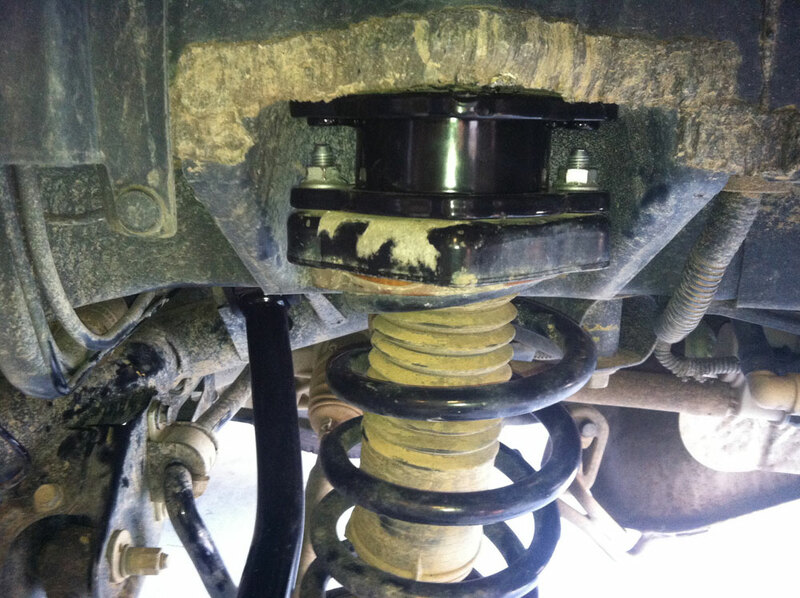 The RRO lift gave the Patriot’s 9.1” stance an extra 2.125” bump with four spacers. Installation came with a few challenges, but the end result was exactly what the vehicle needed. It’s worth mentioning, a Forester has 8.7” of clearance, the same as a stock Nissan Pathfinder. Having installed the Rocky Road Outfitter lift, I wonder how any Patriot driver can do without it. The approach and departure angles on the Patriot are actually quite impressive. 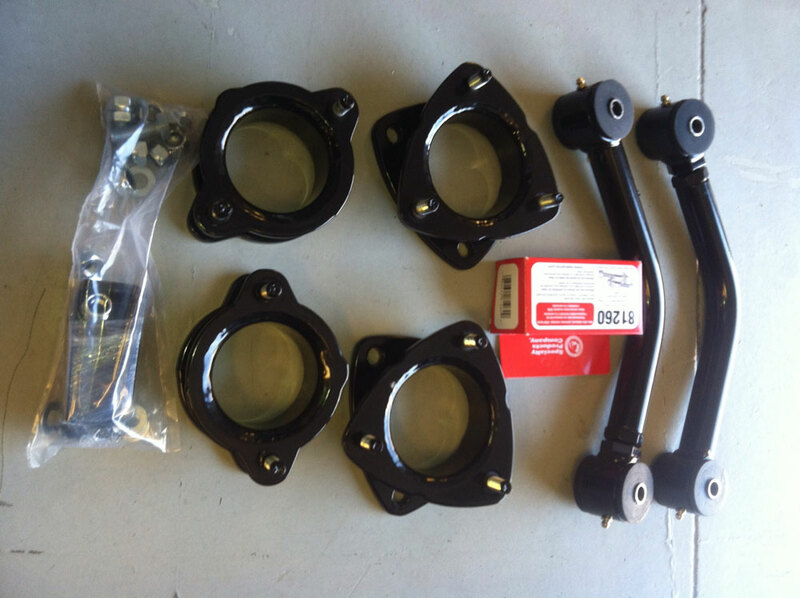 This was the deal breaker for the newer Subarus we had contemplated, especially on the late model Outbacks with the long forward overhang. The one challenge with the Patriot is the long break-over. 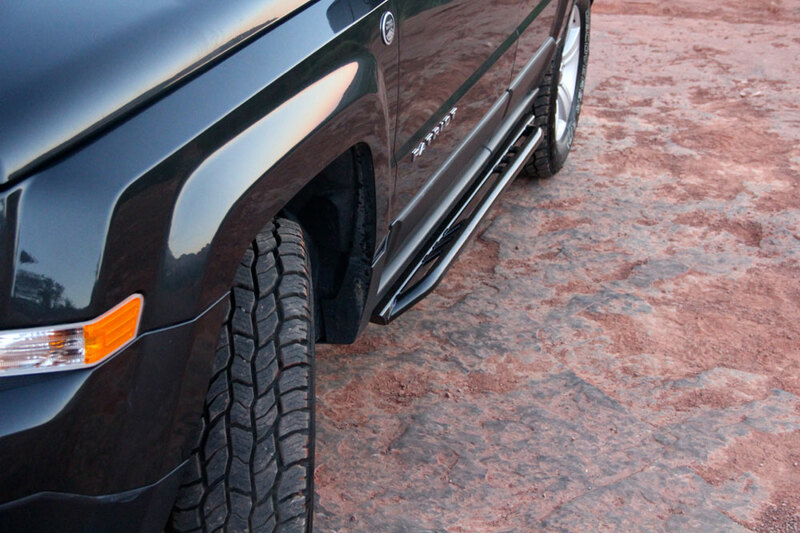 If any car needed sliders, this was it, so on went a very nice set of Rocky Road Outfitters Supersliders. Installation of the sliders was so strait forward and easy, I managed to do it myself in just a few hours with minimal fuss. I thought they were overkill until I started challenging the limits of the vehicle. I’ll cut to the chase, they’ve already been well used. Because the Trail Rated version of the Patriot is fitted with skid plates covering the vitals, we didn’t have to add any additional protection. There are still a couple exposed components under the Patriot that could use extra protection, but so far, so good. The tire choice was easy enough. Larger Cooper AT3 tires were fitted with minimal rubbing, and combined with the lift, gave the vehicle the stance it should have had from the factory. The AT3s augmented the vehicle’s strongest attribute, its sure footing and excellent traction control. It also began to look more like a Cherokee than the wiener dog it was originally. 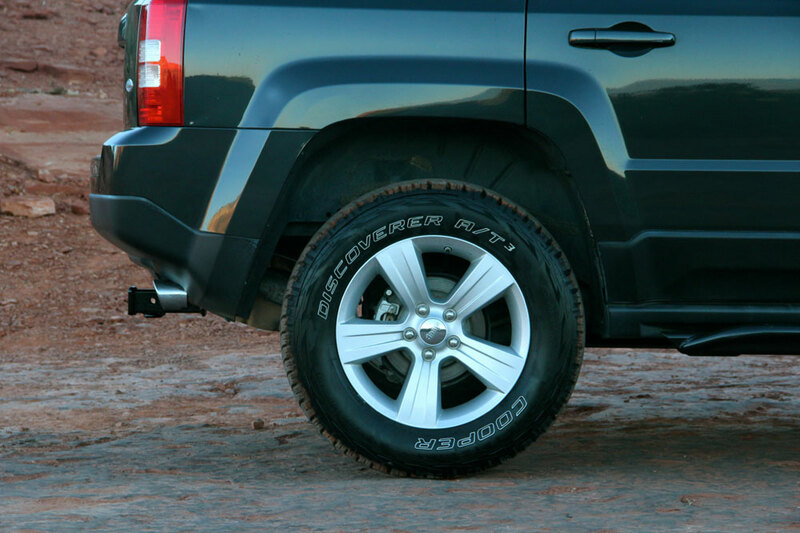 I opted to keep the factory wheels, primarily for aesthetics, although going down to 16″ wheels might have further improved the offroad qualities just a tad. With a couple thousand miles on the new tires, I can’t rave about them enough. They’re quiet at speed, offer a compliant ride befitting of a road-biased vehicle but work well off the tarmac when needed. The alignment post-lift is within required limits, but is at the edge of those limits. The tires have so far worn with positive uniformity. The only other accoutrements it needed included a solid rack, cargo box, ARB fridge, and Kuat NV bike rack. I opted to go with Thule’s Aeroblade system which has a very stout load capacity, and when all the rack accessories are removed, remains dead quiet, even at freeway speeds. 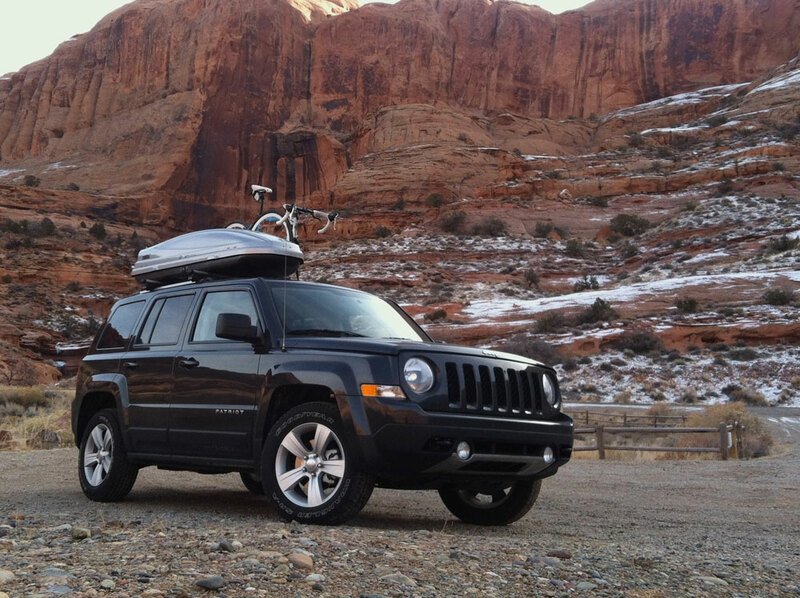 After going through two Thule cargo boxes, neither of which really worked for me, I finally ended up with Yakima’s SkyBox Lopro. That is without question the best cargo box I have ever used. The Kuat rack deserves similar accolades. The end result was the perfect long-reach adventure mobile designed to access our favorite trailheads and backcountry playgrounds. 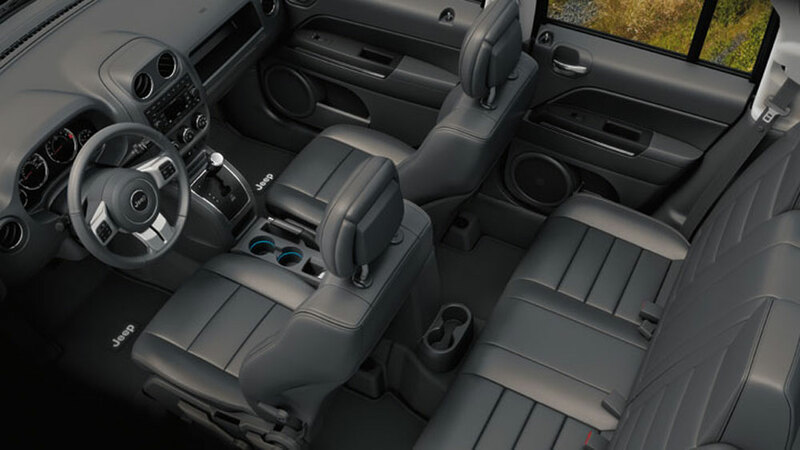 The interior has proven to be very comfortable. 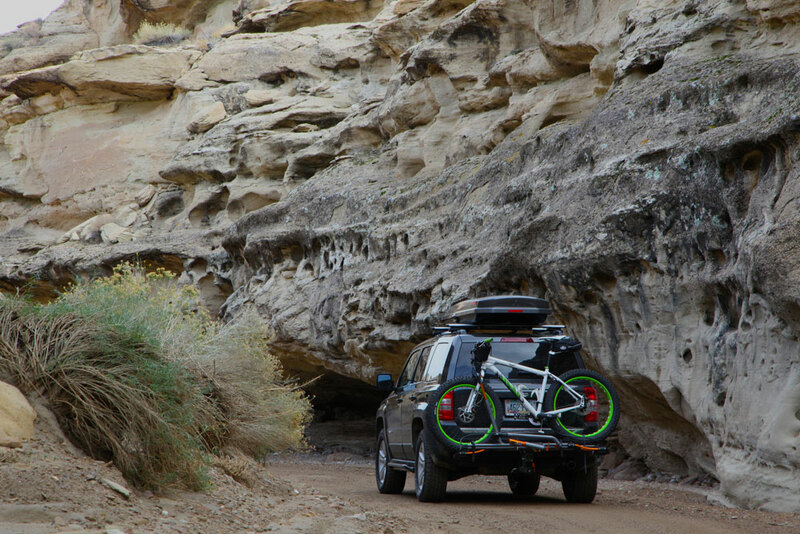 Full leather and all the options on the Latitude X (now the Limited) make for a nice road tripper. It is noticeably more roomy in the front seats than my Discovery II. Visibility is not as good, but overall the creature comforts are similar. On a recent solo trip to Utah, I decided to test sleeping inside the vehicle. Because the front seat folds flat, I was able to lay out a 76 by 20 inch sleeping pad for a full length sleeping platform that was perfectly flat. This with a 1600 Pelican case and 50 liter ARB fridge in the car with me. Is it remotely close to the traditional overland rig? Not by a mile. I do periodically have to redesign my routes to account for the reduced offroad performance, but it is to Scott’s credit, “shockingly capable,” just as he promised. It has even made for fun offroad driving. It’s just small enough I can wiggle around many things I’d normally have to attack head on. Most importantly, it is set up perfectly to deliver my skis, bikes, climbing gear and other toys to the remote trailheads I need to access. It’s been two years, 20,000 miles, and countless adventures since I made the leap to the baby Jeep. I have been more than impressed with how capable the Patriot is on and off pavement. The traction control, paired to the virtual low range provided by the CVT transmission has been for lack of a better description––almost unrealistically effective. When put in “Low” with the 4WD lever engaged, the Crawl Ratio really does create a driving experience akin to that of a vehicle fitted with an actual low range transfer case. Articulation however, is non-existent, which conspires to have one wheel airborne with regularity, but the traction control seems to only need three wheels anyway. 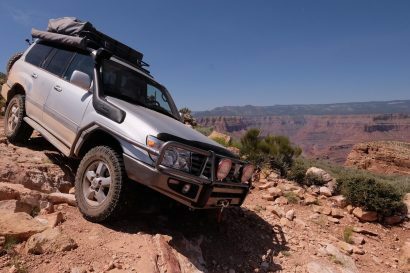 Obviously, it will never rival the offroad prowess of even the Liberty, but for a car…and it is a car…it’s considerably better than anything else out there. I understand why MotorTrend gave the Forester the SUV of the Year award this year, but I guarantee the Patriot is better offroad, especially when fitted with a few minor additions like the RRO lift and sliders. On the road, the Patriot is a very pleasant car to drive. Road noise is minimal and it handles with the poise of a large passenger car, which is really what it is. Although the first years of the Patriot were lambasted for feeling cheap and rife with hard-touch plastic, our leather-clad enterior is far more refined and quite comfortable. We opted for every available option down to the Sat-Nav and Bluetooth, and the total bill was still remarkably low, even with a lifetime warranty. 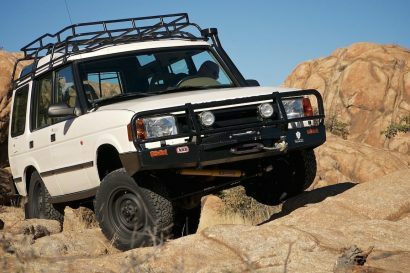 For a recovering Rover owner, getting a lifetime warranty was like being hugged by my mother. As for reliability, we’ve had a few gremlins to cage, but nothing serious. The steering wheel controls konked out when the watch-spring connector failed in the steering column. We had some door hinges that got a little loud and grumpy, but were easily fixed. The one nagging concern is the CVT transmision and the rather unpleasant whine it has on a hot day at higher freeway speeds. So far, it hasn’t warranted any further attention, but I expect it may need to be addressed eventually. All in all, it’s been a pleasure to own. Right now I can already feel the heat from the comment box below as the skeptics prepare replies filled with flame and indignation. Believe me, I get it. I’m not trying to dragoon anyone into selling their current rigs for a Patriot. I realize the average Patriot pilot is not conquering the Rubicon or the Road of Bones. 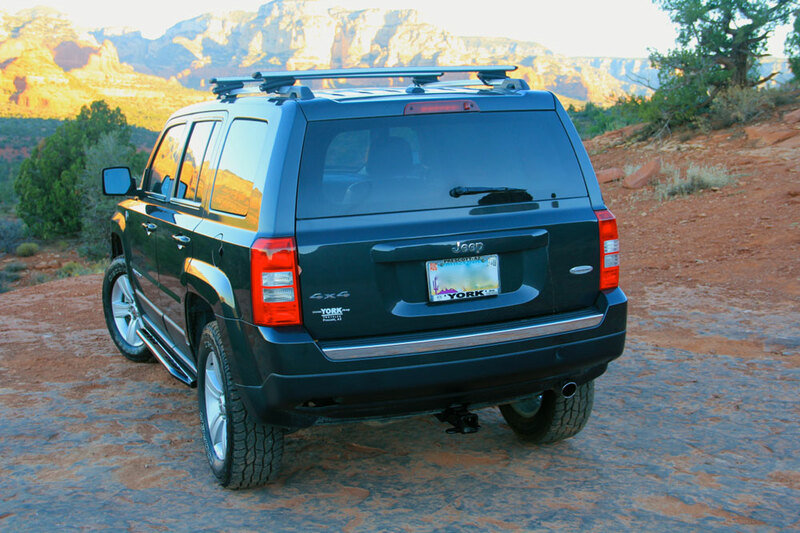 A Patriot is however, more than capable of traversing the Mojave Road, the Alpine Loop, and other mild routes, and all the while sipping petrol at 25 mpg. 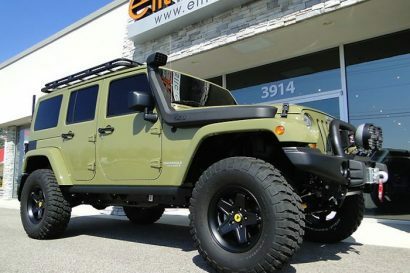 If I were off-roading for the sake of off-roading, I’d buy a JK. I needed something that could bobble over a tricky spot in the road while on my way to my playground destination. On that score, it has been a near perfect vehicle. Back to the rainy encounter on Cinnamon Pass. As I had done before, I thanked the nice man for his concern, asked if I could drive around his Wrangler, and as we knew we would, completed the Alpine Loop, in our car, with no drama. I continue to push this car ever further towards its limits and every time it plods on undaunted.